You’ve decided that your current application needs compressed air. You’ve figured out how much air you need, how you are going to drive the compressor and what engine you are going to use to power it. Now comes the time to make the decision of what type of compressor is best suited for your particular needs. When choosing the type of compressor, there are really only 3 styles commonly found in mobile applications. Each of these have their own particular benefits and challenges. Reciprocating compressors are the most common compressors found in mobile applications. There are a wide variety of manufacturers and suppliers worldwide. This type of compressor is also the one people are most familiar with. Of the three compressors listed here, the reciprocating generally has the lowest initial purchase price. They are suitable for low duty cycle operations. 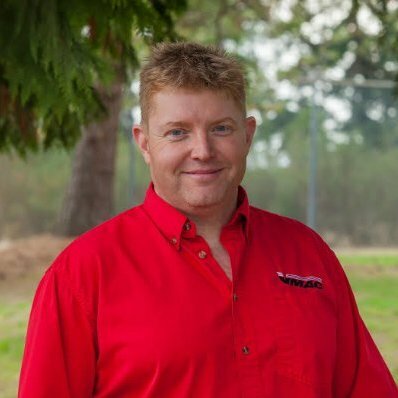 Unlike the vane and screw compressors, recip compressors can be serviced/rebuilt in the field with simple hand tools. Reciprocating compressors are typically the largest and heaviest when comparing compressors of equal CFM. They have the most moving parts and like the vane compressor, experience increasing amounts of oil carry over. With the way reciprocating compressors produce air, there is more after treatment required before that compressed air reaches your tools and equipment. This is required in order to deal with higher discharge temperatures and pulsating air flow. An air receiver tank is required with a reciprocating air compressor. Traditionally, rotary screw compressors have been found in stationary compressors and have not been widespread in mobile applications. This trend is starting to shift as screw compressors become more affordable and their benefits are increasingly recognized in different industries. Once limited to only a few manufacturers , rotary screw compressors are now being manufactured by more and more companies around the world. Screw compressors are known for long life and high air flow delivery in a relatively compact size. High duty cycle applications are suited for rotary screw compressors as they are designed to run 100% of the time. 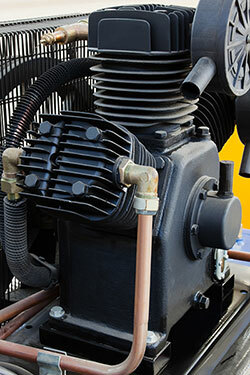 Generally, a screw compressor does not need an air receiver tank for operation. Compared to the other compressor types listed here, rotary screw compressors have fewer wearing parts. Maintenance is usually filters and oil. As most screw compressors found in mobile applications are oil-injected, they have an independent lubrication circuit. This means that the oil used is specific to the compressor and needs regular maintenance. Rotary screw compressors generally have a higher initial cost when compared to the other compressor types but last longer as they have fewer wearing parts. Of the three common compressors found in mobile applications, the vane compressor is the least common. There are fewer manufacturers of the vane compressor compared to reciprocating compressors. 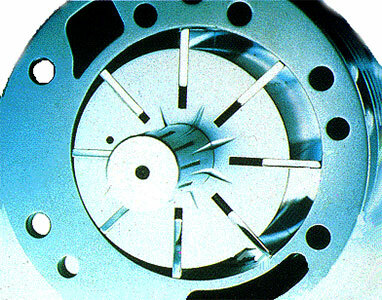 The availability of service parts is less than that of the other compressor types. Like the rotary screw compressor, the vane has less moving parts when compared to a reciprocating one. Vane compressors are compact in size when compared to reciprocating and rotary screw compressors when comparing equal CFM compressors. They are designed for continuous duty and deliver a relatively pulsation free air flow to your tools or equipment. 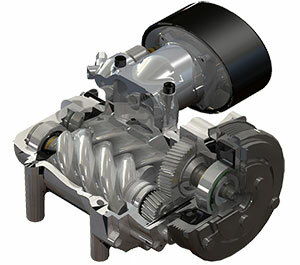 The rotary vane compressor generally has a low initial purchase cost. As with other wearing compressors, oil carry-over increases the longer it is in service. A complete rebuild is required to prevent this from happening, which is an expensive process. When choosing a compressor for your mobile application, there are many factors to consider. Initial purchase price, ease of and cost of maintenance, size, availability, air flow and longevity are all important for your overall satisfaction with your compressor. Knowing which compressor meets your needs is an important step in finalizing your compressor system.